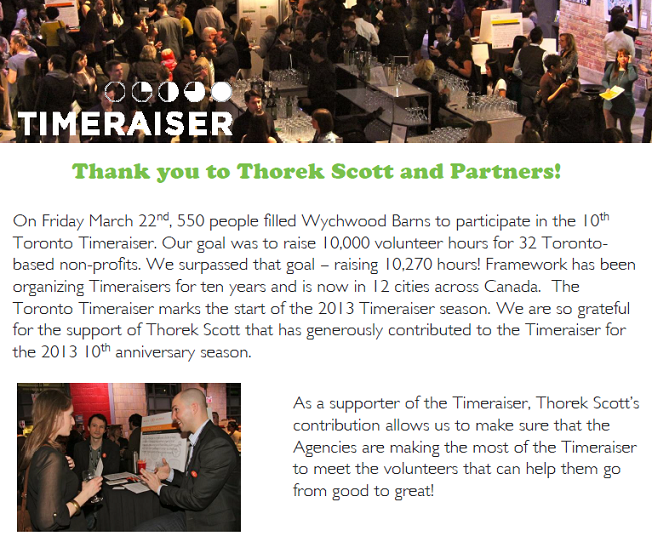 THORACLE Presented by Thorek/Scott and Partners: Thank You to All Who Participated in Timeraiser! Thank you to everyone who participated in this event! Timeraiser was a huge success and TSP looks forward to working with them in the future.